Looking for a phone with good sense of style and long battery life? Check this out! Asus Philippines just dropped the local SRP of the ZenFone 3 Max (ZC520TL). As a quick refresher, the Asus ZenFone 3 Max is a stylish phone paired with decent specs and extra big battery capacity. In particular, it has a 1.25 GHz 64 Bit MT6737T quad core processor, 3 GB RAM, 32 GB expandable storage, 13 MP main camera, and 4,130 mAh of battery. 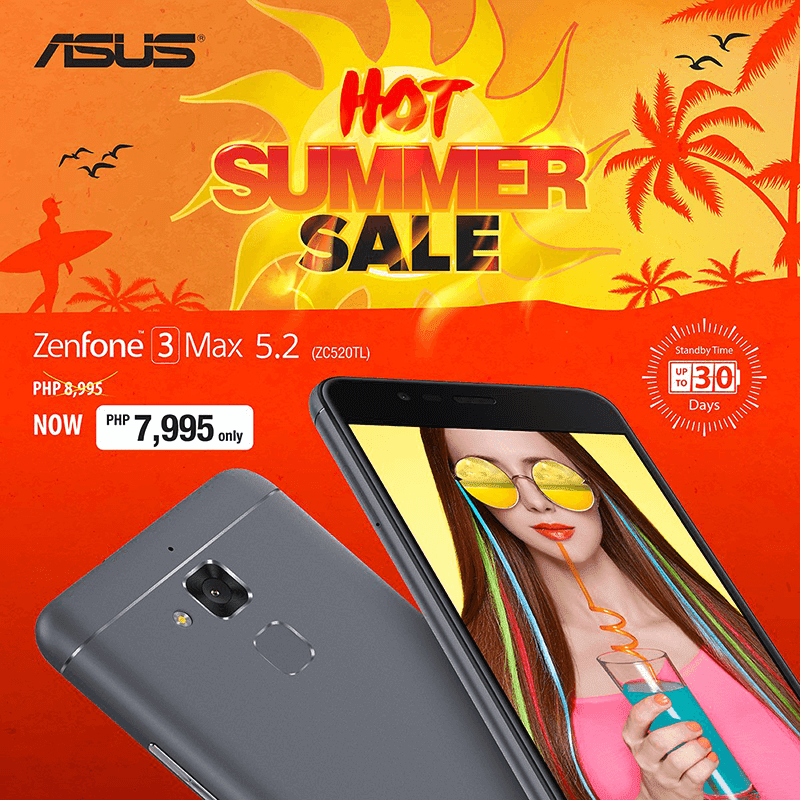 From the original SRP of PHP 8,995, the Asus ZenFone 3 ZC520TL is down to PHP 7,995.